So today we were busy at a car boot sale, selling some old items we found in the loft and turning them into money. And of course, Lisa could not help having a little look around at some of the other cars. And you'll never guess what she found . . . 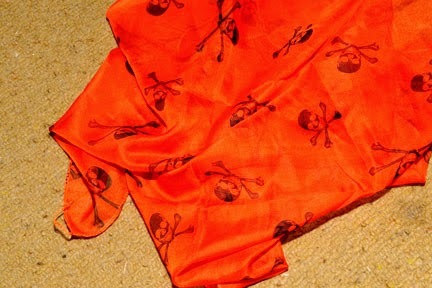 The pirate scarf - this season's must-have accessory! Perfect for our trip to the Netherlands next month! It was barbecue time when we got home, and what better way to enjoy some time outdoors than with a soundtrack from Radio Barones. With a little help from the remote receiver at Enschede (too earlier for reception on my own radios) and a bluetooth speaker we were listening to the Baro on the patio in perfect quality on 1593 kHz. As I write these words it's around 1830 UTC and while there are only faint traces of pirate activity at the top of MW, there are some good signals on SW, including Foxfire (6240), Joey (6290) and Pink Panther (6803). Hopefully the propagation will be with us later on MW. Now I like a little bit of sunshine - it makes a nice change to the wind and the rain. But what I don't particularly like is summertime propagation conditions on AM. Reception is so unpredictable, and with the long hours of daylight, it means there is a much smaller window for receiving pirates on MW. When the days are at their shortest in the middle of winter, I can start hearing stations from around midday. Right now there is little point in checking the radio until around 2100. Of course, it means I have plenty of times for other enjoyable pastimes, but I do like to hear a few pirates every now and again! As I write these words I'm listening to a qso between Vrolijke Mijnwerker, Jeneverstoker and Astronaut, but signals are down on what I would usually expect. Mijnwerker is one of the powerhouses at the top of the MW, but the sinpo from him this evening is around 44333, sometimes peaking a bit higher. Those who regularly read the blog might have seen I mentioned a station called OSM on my last update. I posted a message on the AM Forum asking if anybody could help with some details about the station. And I got a couple of replies, including one from the O Superman himself. It turns out this is a station from many years ago who has returned to the air this year after a break of some years. Great to hear him back on air. Not many of them, but here are a few logs from this side. It's been a busy time over here for the last few days as I was preparing for my wife's 30th birthday. There was a marathon in the kitchen, cooking and preparing. And there was a lengthy wrapping session. And today were the celebrations. It's been a great day, and I'm ready for a good sleep, but just before I hit the sack, I've popped into the radio room to see what pirate activity I can detect. There is a huge amount of static on the MW band, more than I've heard for a good while and, after some very warm weather today, it certainly sounds like a thunderstorm or two is on its way. However, there are some decent signals, with Barones on 1637, Witte Tornado on 1648, Tower on 1611 and Dinkelland, who has been on 1620 qsoing. 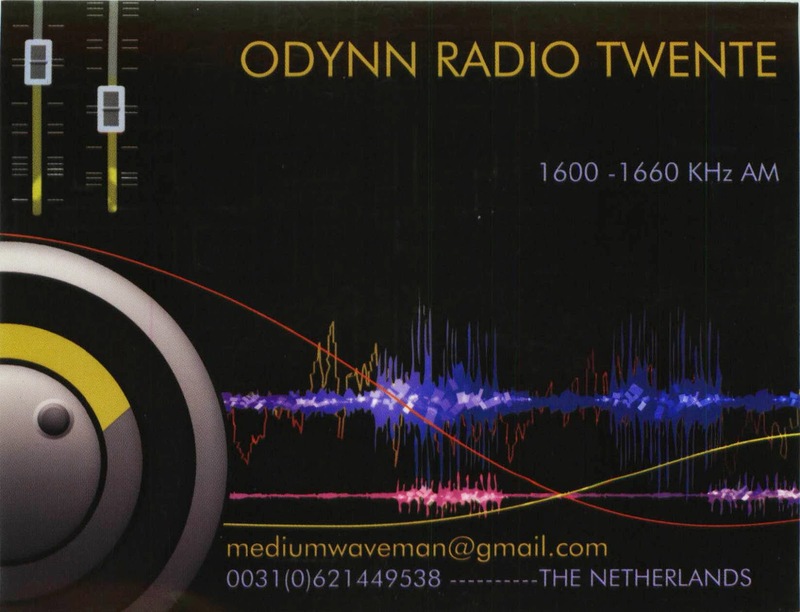 However, best signal of all is from Odynn on 6288 kHz. It's been a good while since I heard him on MW, but I hear he could be back on there soon, and I look forward to it. Hopefully his signal will be as good as it is on SW right now. Here's the lowdown on the latest logs from this side. Not too many on the MW as conditions have not been great. There is always a lull in reception for me at this time of the year. However, it's only a couple of weeks until the longest day of the year. Goodness, it will soon be Christmas!